Has Google's Android model hit a snag? Since Google Inc introduced its Android operating system in 2007, the company's strategy has been simple: Give it to developers for free and make money when consumers click ads on the Web or through apps. That model is hitting a snag. Amazon.com Inc and Chinese internet giantsBaidu Inc and Tencent Holdings Ltd are using Android as a building block for their devices, skipping preloaded applications such as Gmail,Google Maps and YouTube that generate ad revenue for Google, as well as its app store. Amazon's Kindle Fire tablet, which is gaining ground on Apple Inc's iPad, comes with none of those apps. "The Fire may be the best Android tablet out there, even though it's the least Android-y of all of them," said Noah Elkin, an analyst at New York-based research firm EMarketer Inc. "The Google experience is very much in the background." Mobile advertising is one of Google's fastest-growing markets, with industrywide revenue projected to rise to $20.6 billion in 2015 from $3.3 billion in 2010, according to Gartner Inc. With online traffic increasingly coming through apps instead of mobile browsers, Google's push to wring mobile-ad revenue from Android could be impeded if more device makers emulate and succeed with Amazon's scaled-back approach. "Part of the reason Android is so important as an operating system is that it lets Google put its mobile services front and center," said Ken Sena, an analyst at Evercore Partners Inc. According to Flurry Inc, a software company that tracks usage of apps, the average smartphone owner uses a mobile app -- for example, seeking a restaurant by clicking on the OpenTable Inc icon on a phone, instead of using a browser to access the website -- 94 minutes a day, compared to 72 minutes accessing websites via a browser. A year ago, time was almost equally split. "This may be small potatoes now, but increasingly it's going to be way search gets conducted," Sena said. Many buyers may not know that the Kindle Fire, estimated to be the best-selling Android tablet ever, thanks to strong holiday sales, is even an Android tablet. Amazon uses its own app store instead of Google's Android Marketplace, and, like Apple, tightly controls which programs can appear there. The Fire also features Amazon's one-click e-commerce shopping experience, already familiar to millions of Amazon customers. The device's success -- with 5.5 million sold during the holiday shopping season, according to Anthony DiClemente, an analyst at Barclays Capital -- shows that many consumers are looking for such seamless interplay between software and hardware. "Apple has taught everyone that people value an integrated ecosystem that just works," said Michael Gartenberg, an analyst at Gartner. "There's a real possibility that Android could succeed, but not deliver what Google hopes it will." Google executives say it's more important for the company to expand the Android ecosystem currently than it is to profit from it. The more devices run on Android, the more people will do mobile search and the more likely app makers are to develop programs for the platform. "We're in the early stages of monetization" of Android, Google Chief Executive Officer Larry Page said on a January 19 earnings conference call with analysts. "We see a lot of potential for us to make money on Android." Google's main source of revenue is advertising on its search engine. Like Apple and its App Store, Mountain View, California-based Google takes a 30 per cent cut on sales of apps from its Android Marketplace. Of an estimated $44.6 billion in sales this year, $5.8 billion will come from mobile, according to Cowen & Co Less than half of Google's mobile revenue comes from through mobile apps, according to Sena. Google's mobile business could expand to more than $10 billion in four years, said Mark Mahaney, an analyst at Citigroup Inc. That would outpace the 66 per cent total sales growth expected for Google from 2011 to 2015, the average estimate of analysts surveyed by Bloomberg. Yet even if 10 per cent of all mobile app-related sales on Android devices came through Amazon's Kindle Fire -- which cuts Google out of the equation -- Google would lose out on less than $300 million in revenue. Still, Amazon isn't the only company whose plan is to push Android into the background. In smartphones, Baidu and Tencent, leaders in China's internet search and social-networking markets, have created their own software suites to run on top of Google's operating system. Last month, Dell Inc unveiled a smartphone, the Streak Pro, that will be sold in China. It is the first device designed to run Baidu Yi, which includes Baidu's own programs for search, books, maps, music and local recommendations. Neither Baidu nor Tencent can point to Amazon-like successes with these efforts so far. Dell also isn't a powerful player in tablets, said Gene Munster, an analyst at Piper Jaffray Cos.
Facebook Inc, on the other hand, is an important wildcard. Tim Bajarin, president of San Jose, California-based consultancy Creative Strategies Inc, expects Facebook to introduce an Android-based phone that wouldn't include Google's apps. Instead, the user interface would be designed around its social network and software from other app makers. So far, Google has pursued an all-or-nothing approach to licensing its suite of applications. In contract talks, licensees may choose to use all or most of Google's mobile apps, or none of them. This means that to get popular apps such as Gmail and Google Maps, the licensee may also need to agree to use Google Talk, a Skype-like app for making phone calls, or Contacts, a tool for managing contact details. Google insists on these terms to ensure that consumers aren't prevented from using apps that have become de facto standards, and because Google's apps are designed to work well together, Android chief Andy Rubin has said. It's also about making money. "There's something that's funding all this free software, and it's Google's business model" to generate revenue from search and its own apps, Rubin said at a press event on December 21. Some rivals say Google is unfairly using its influence to push its own mobile offerings. 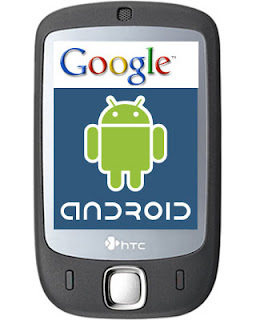 Skyhook Wireless Inc is suing Google for allegedly preventing Motorola Mobility Holdings Inc and another phonemaker from using Skyhook's location-tracking software, by insisting they make Google's alternative the default on their Android products. Many device makers have little choice other than to take a full suite of Google apps. Without Android, companies such as Samsung Electronics Co and HTC Corp. would have no platform for competing with Apple. With no must-have apps or services of their own, these device makers would be at a disadvantage without Google apps. "I don't know if any other manufacturers have the clout to do what Amazon is doing," said Bajarin. "They need to play nice with Google." Amazon doesn't. Rather than make money on the hardware --it sells the Kindle Fire at a loss for $199 -- its strategy is to make devices that let customers stream or buy more movies, music and books from its online store. To do that, Amazon created its own mobile-app store and a browser called Silk. Amazon will make $136 on each Kindle Fire, thanks to movie and book downloads onto the device, according to Ross Sandler, an analyst at RBC Capital Markets. Android devices that ship without Google's services aren't a total loss for the company, said Maha Ibrahim, a partner at Menlo Park, California-based investment firm Canaan Partners. "Google has done an incredible job getting Android out there," she said. "They'd rather have Android be part of these devices than not." Fire owners can still do internet searches via Google or use Youtube.com or the Google Maps website. Google may opt to create its own integrated phone that highlights its services, as the Fire does for Amazon. The company agreed in August to acquire Motorola Mobility. Gartenberg, the Gartner analyst, expects Google to introduce a tablet that showcases the company's latest technology, just as it has done with Nexus-branded smartphones in recent years. "One way or another, they need to have a tablet that's a strong No. 3 to iPad and the Fire," said Evercore's Sena. In long words you have shared much better information here.